HONG KONG, Apr 26, 2018 - (Media OutReach) - Hong Kong's first cognac-themed bar has opened at ifc Mall in Hong Kong. 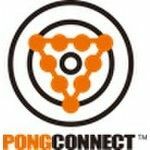 PONG ifc will feature the world's first and most popular digital beer pong gaming platform, PONGConnect. PONG ifc will hold its grand opening on 2 May 2018. As Hong Kong's first Cognac-themed bar, PONG ifc offers an extensive selection of premium and classic Cognacs. The bar will feature signature concoctions designed by PONG ifc Bar Manager Jody Ho, a veteran Hong Kong mixologist who has honed his craft under the tutelage of famed mixologist and bar owner Antonio Lai. - Secret Garden, a sweet and smooth gin-based blend with Jody's secret flower syrup that is decorated with rose petals; it is the best-selling selection following the bar's soft opening. - The bar's most creative cocktail, the vodka-based WOW, which combines yogurt and cheese, and is topped with Xiang Piacha, a jasmine scented tea. - The Modern Sidecar, a cocktail that is also made with cheese, is highlighted by Jody's secret ingredients and orange salt. Orange salt is a rare ingredient that is not widely available in the market. "PONG ifc addresses Hong Kong's continuous demand for upscale bars with a touch of innovation," PONGConnect Founder and CEO, Mr Steven Yip said. "PONG will provide a novel form of entertainment to 'North Central' with a fun factor that's never been offered in the area. PONG ifc also introduces the wildly entertaining beer pong games offered by PONGConnect to a different market in a more sophisticated setting." PONG ifc will offer daily set lunches, a free flow champagne lunch on weekends, and cater to private parties and special events. PONG opened its original location, Pong Zing!, in Causeway Bay in 2015. PONGConnect beer pong tables are now used in 15 cities in Southeast Asia and Europe. Beer Pong is a popular game in American pop culture. In view of the growing popularity in Asia, Hong Kong tech company Atalon Ventures successfully introduced PONGConnect, the first real-time digital beer pong system, to the world. The PONGConnect system comes with smart sensors and automatic scoring system to provide players with customized records and real-time rankings. With the company's designated mobile apps, users can compete with PONGConnect's 100,000 players around the globe, indulging themselves in the online to offline gaming experience.